Alabama, it turns out, is not the only state where corrupt judges and lawyers gather at hunting clubs to commit unsavory acts. It also happens in western Illinois, just across the Mississippi River from Missouri. And we know, from an unfolding story in the St. Louis Post-Dispatch, that the ugliness in the Midwest involves cocaine, heroin, firearms . . . and, well, it makes Alabama sound tame. At least three federal lawsuits have been filed here in Alabama, alleging that judges and lawyers gather at hunting clubs to fix divorce cases in Jefferson County. All three cases were dismissed under questionable circumstances, with no discovery, suggesting the federal judiciary actively is engaged in a cover up. That makes sense when you consider that U.S. District Judge Sharon Lovelace Blackburn (Northern District of Alabama) is one of the apparent beneficiaries of hunting-club corruption. A courthouse drug scandal expanded Friday with charges alleging that a St. Clair County probation worker used cocaine repeatedly with two judges and provided the dose that killed one of them. James K. Fogarty, of the probation office’s investigative unit, told officials he bought cocaine and re-sold it to Associate Judge Joseph Christ and Circuit Judge Michael N. Cook the day before the two went to a hunting lodge where Christ died March 10. Fogarty, 45, was charged in U.S. District Court in East St. Louis with distribution and possession with intent to distribute cocaine. He was held pending another hearing. Earlier Friday, Cook, 43, appeared in the same courthouse to answer charges of being an unlawful user of a controlled substance in possession of a firearm, and a misdemeanor charge of possession of heroin. One judge dies from a cocaine overdose, and another is arrested for illegally possessing heroin and a firearm? Gee, how bad would their behavior be if they had not taken a solemn oath to uphold the law? The charges capped a frenetic two-day period in which Cook was arrested Wednesday at the home in Belleville of Sean D. McGilvery, a friend now accused of running a busy heroin shuttle from Chicago. The FBI, Drug Enforcement Administration and other agencies searched McGilvery’s house plus Cook’s chambers in the courthouse in Belleville, home in the same city, and family hunting lodge in Pike County, Ill., where Christ died. McGilvery, 34, was charged late Thursday with conspiracy to distribute, and possession with intent to distribute, heroin. The charges claim he sold more than a kilogram. The investigation into a drug scandal involving a St. Clair County judge, another who died of a cocaine overdose and a county probation worker charged with providing them with drugs, is far-reaching, a federal prosecutor said Tuesday. “This is a wide-open investigation and is not limited in scope to the St. Clair County courthouse,” U.S. Attorney Stephen Wigginton said after a hearing for accused probation officer James K. Fogarty at U.S. District Court in East St. Louis. “We have a number of leads we are tracking down,” Wigginton said. The feds might want to follow some leads into the Alabama hunting-club scene. God only knows what they would find there. An Alabama judge is violating state laws that limit his ability to hear cases involving major campaign contributors, according to a pending federal lawsuit. Jefferson County Circuit Judge Robert Vance Jr. is hearing a state case, even though lawyers on one side are from a firm that contributed at least $3,600 to Vance's most recent campaign. 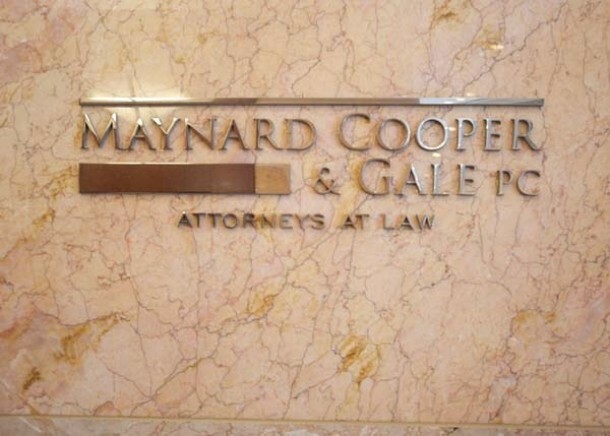 The donations, from the Birmingham firm Maynard Cooper & Gale (MCG), exceed the $2,000 threshold set by Alabama law and require Vance's recusal, according to the federal complaint. Vance has refused to step aside in the underlying state case, styled William B. Cashion and Western Steel Inc. v. Steven Mark Hayden, et al (Case No. CV-2012-209), and issued four favorable rulings to MCG's clients. That prompted a federal lawsuit alleging that Vance acted without jurisdiction and outside his judicial capacity, causing substantial damages to a trust that was formed in Nevada. Austin Burdick, a Bessemer attorney who represents the trust, says Code of Alabama 12-24-1 et seq, requires Vance's recusal. Burdick filed a Motion for Recusal in the state case on January 9, 2013, but Vance refused to step down. Burdick sought a writ of mandamus forcing Vance to recuse, but the Alabama Supreme Court dismissed the petition without accepting briefs. At a later hearing, Judge Vance also announced that he was not bound by any statutory provision which limits a judge's ability to receive campaign contributions. . . . It is believed he was referring to Ala. Code 1975, Sec. 12-24-2, which limits campaign contributions to not more than $2,000.00 from any law firm to any circuit judge. If this threshold amount is exceeded, then the judge is disqualified from hearing the case. . . . The law itself indicates that disqualification is required because an appearance of impropriety exists when a judge takes substantial campaign contributions from litigants or counsel. And it is the appearance of impropriety that necessitates the judge's recusal. A review of the records provided to the Alabama Secretary of State indicate that the lawyers at the firm representing Cashion contributed at least $3,600.00 to Judge Vance's most recent campaign while Cashion's case was pending. . . . There may have been other contributions from Maynard through PACs, however, Vance has refused to disclose that information. At [a] November hearing, Vance . . . disclosed that he had previously been involved in a controversy wherein he received excessive campaign contributions from Maynard. Judge Vance justified his disregard for the aforementioned statutes by saying that the issue was never addressed by the Alabama Supreme Court when a Petition for Writ of Mandamus was filed in another case. . . . However, Judge Vance's disregard for law was never vindicated as it was never addressed. . . . Judge Vance has sought to justify his conduct by claiming that the aforementioned statute has never been enforced. However, the law reflects a public policy concern that pursuant to the Alabama Canons of Judicial Ethics a judge must recuse if there is an appearance of impropriety. Accepting such donations during the case presents the appearance of impropriety. The Canons of Judicial Ethics have been enforced, and regardless of the application of the above-referenced statutes, Vance has an obligation to recuse if there is evidence to show an appearance of impropriety. $3,600.00 in campaign contributions is evidence of impropriety and requires recusal. However, Judge Vance has ignored his obligation and persisted in a course of action that continues to deprive Plaintiffs of due process. Luther Strange paid almost $19,000 to a former campaign aide after he lost the 2006 lieutenant governor's race in Alabama. The payments appear to mirror those that Strange, as attorney general, now claims constitute a crime by former state senator Lowell Barron and his former campaign aide. The indictment against Barron indicates the attorney general's office built its case against Lowell Barron on three theories related to Alabama's campaign-finance and ethics law: (1) Barron made the payments to Rhonda Jill Johnson after a losing campaign in 2010; (2) Barron, therefore, could not claim the payments were reasonably related to performance of his official duties; (3) The payments were personal in nature. Public records show the attorney general himself made payments to Jessica Medeiros Garrison after a losing campaign in 2006. That means the payments could not have been "reasonably related to performing the duties of the office held," and therefore must have been personal in nature. Did Luther Strange commit the very "crime" in 2006 that he now alleges against Lowell Barron from the 2010 campaign? The answer appears to be yes--and the Strange payments appear to involve a level of deception, and possible personal motivations, that are not present in the Barron payments. The first payment stands out, both because of the amount and to whom it was paid. Alabama Politics, Inc. is based in Tuscaloosa and owned by Jessica Medeiros Garrison. Records from the Alabama Secretary of State show the company was formed on November 21, 2006, even though the Luther Strange campaign already had made a hefty payment to it on November 9, 2006. Secretary of State records also show that the firm's name was changed to MDM 27 Holdings Inc. on November 27, 2007, and Garrison became Strange's campaign manager in the 2010 run for attorney general. As we reported on May 8, the Strange campaign spent $207,015.26 with MDM 27 Holdings, from June 10, 2010, to November 30, 2011. During roughly the same time period, the Strange campaign paid $33,245.07 directly to Garrison. The indictment against Barron stresses the fact that a number of his payments to Johnson were for "administrative" duties. But records show that Strange made 15 "administrative" expenditures to MDM 27 Holdings Inc. in roughly the same time period as the Barron payments. All but one of the administrative payments to Jessica Garrison's company was in the $10,000 to $30,000 range. The Strange campaign made three payments for "consulting" services, and those were in the $9,000 to $12,000 range. Were the 2006 payments to Jessica Medeiros Garrison and her company personal in nature? Well, she was pregnant at the time the payments were made--and she gave birth to Michael Lee Garrison on March 27, 2007. Why Would Wall Street CEO Ted Rollins Take Steps To Keep His Daughter's Trust Fund Under Wraps? Patriarchs in the wealthy Rollins family, from their primary bases in Georgia and Delaware, have a history of taking questionable actions with trust funds. In fact, that issue is about to become part of our coverage on the Rollins v. Rollins divorce case here in Alabama. Randall and Gary Rollins are the heads of Atlanta-based Rollins Inc., the umbrella company for Orkin Pest Control, RPC Inc. (formerly Rollins Energy Services), and other entities. But they now stand accused of essentially raiding trust funds for their own benefit, and a Georgia court has found those claims should go to trial. A similar case might someday unfold here in Alabama. Birmingham resident Sherry Rollins says she has seen evidence that her daughter, Sarah Rollins, has a trust fund that was established by her grandfather, John W. Rollins Sr. But Sarah Rollins, who now is 19 years old, knows almost nothing about the fund. Laws in most states hold that an 18-year-old is considered an adult and is entitled to know about provisions of a trust fund. Why would Ted Rollins be secretive about his daughter's trust fund? As CEO of Campus Crest Communities, Rollins has seen his company receive more than $730 million in Wall Street investment funds. You might think that the chairman of a publicly traded company would be used to a certain amount of transparency regarding financial matters. But Ted Rollins seems to be anything but transparent when it comes to his daughter's trust fund. Allegations in the pending Georgia lawsuit hint that Randall and Gary Rollins, Ted's cousins, have used family trust funds for their own benefit, committing serious breaches of fiduciary duty. Is Ted Rollins, perhaps with the help of family accounting gurus, doing the same thing to Sarah Rollins? When I lived in Greenville, S.C., I practiced Spanish so that I could converse with the Hispanic women who cleaned Ted's office, on the top floor of the First Union Building. He was just starting St. James Capital and had formed a partnership with Randall Rollins and his dad [John Rollins Sr.], where Ted would purchase various real estate around the country and develop it. He had just purchased the Crescent Center in Greenville, S.C., for St. James Capital. He later moved his offices to the Crescent Center. He was out of town that week; I left the girls with the maid, and went in the early evening to his office. I walked past the guard, and he told me to sign in. I signed in. I went to the top floor to Ted's office. I spoke to the maids and told them that I had to do some work on the computer and that I was Ted's wife. I went to his secretary's desk. I sat down and found a yellow legal pad with a list of all his files written in it. One thing on the page caught my eye: Sarah's Trust Fund; it listed where it could be found on the computer. That wasn't the only intriguing information Sherry Rollins uncovered on that trip to her husband's office. And on a subsequent trip, a scene right out of a John Grisham movie unfolded before her eyes. The Alabama Supreme Court should take over the case against Jefferson County Judge Dorothea Batiste, in part, because the state's judicial inquiry commission has repeatedly violated its own rules in launching an investigation. In a letter accompanying the petition, McPhillips notes that complaints largely have come from former Jefferson County presiding judge Scott Vowell and not from litigants or parties who appeared before Judge Batiste. "To allow complaints stimulated by a third party such as Vowell . . . ," McPhillips writes, "violates the Code of Alabama's grant of authority to the AJIC." This case has morphed into an abuse of process, because the AJIC has allowed itself to be transformed into a Super Appellate Court of Alabama to review decisions of Judge Batiste, even when the litigants are not complaining. It is also obvious that Scott Vowell has developed a runaway ego, in which he is power-tripping by trying to show Judge Batiste that he is more powerful than she, and that, by golly, if he complains, he's going to make the complaint stick. How did the AJIC violate its own rules? McPhillips points to two primary issues. The Commission . . . does not review . . . abuse of judicial discretion during a court proceeding absent evidence of bad faith. Nowhere in the 38-page AJIC complaint with 23 pages of exhibits is there any allegation that Judge Batiste engaged in bad faith, notwithstanding that the 147-paragraph complaint basically alleges abuses of discretion by Batiste in the use of her contempt power. Investigations may be instituted by the Commission only upon a verified complaint filed either by a member of the public or by a member of the commission . . . Almost all of the complaints Scott Vowell has forwarded to the AJIC contain an unverified typed letter in which Judge Vowell purports to pass on complaints of unhappy litigants, which complaints are mostly also unverified. Many of these complaints do not reflect the subject matter of the complaint, or whether it was a litigant or attorney who was unhappy. These complaints are essentially anonymous, contrary to AJIC rules. The AJIC has . 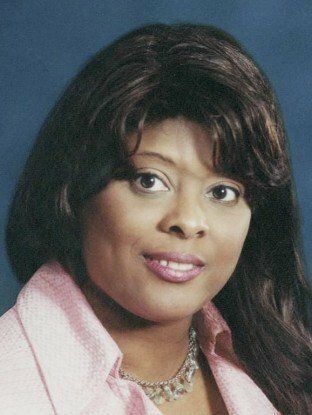 . . allowed former Jefferson County presiding Circuit Judge Scott Vowell to further abuse the process of the AJIC by stirring up litigants, witnesses, and attorneys, unhappy with Judge Batiste's divorce court rulings, through encouraging them, or assisting them, in filing multiple complaints against Ms. Batiste. Many of said complaints are frivolous or nonsensical. Some even involved two attorneys long since dead, namely Rusty Wright and Chris Christ. Indeed, one such frivolous complaint even involved a litigant supposedly unhappy with a continuation of the misspelling by Judge Batiste's office of the litigant's name, notwithstanding that the original misspelling began with the litigant's attorney. Reflecting his bad faith, Judge Vowell even encouraged this complaint. the rubble in Oklahoma City. When we started this blog in June 2007, the title was meant to honor Murphy Abigail Shuler, a wonderful miniature schnauzer who enriched our lives for 11 years--and helped us survive the early years of our legal woes. The idea was to celebrate Murphy's good heart, her keen curiosity, her feisty spirit. We had first-hand evidence of a schnauzer's remarkable spirit because Murphy filled our home with it throughout her life. But the world got an up-close look yesterday at a schnauzer's fighting spirit--thanks to a news video that might go down as the most touching moment ever captured in the YouTube era. A reporter for CBS was interviewing tornado survivor Barbara Garcia amid the rubble of what had been her home and neighborhood. Ms. Garcia was describing how she had been holding her dog when the storm hit and chaos ensued, with seemingly everything that she had treasured gone. Ms. Garcia said she had called for her dog but he didn't come. "I know he's in here somewhere," she said, pointing to wreckage where there was no sign of life. What happens next, starting at the :24 mark on the video, still takes my breath away--and fills my eyes with tears, even though I've watched it multiple times. I can't tell if the dog is a pure-breed schnauzer or a schnauzer mix. But with the blunt muzzle and distinctive beard . 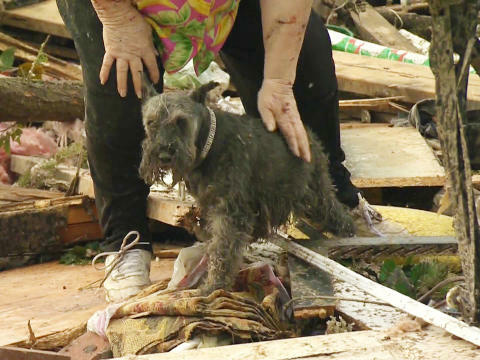 . . well, there is no doubt this little survivor has deep schnauzer roots. And that indomitable spirit . . . I would recognize that anywhere. The IRS and its targeting of conservative groups has captured the nation's attention in recent days. But a more important IRS-related story might be flying under the radar. A series of articles at the public-interest journalism site ProPublica raise questions about whether six "dark money" political groups, all conservative, committed criminal acts in seeking tax-exempt status from the IRS. Among the groups is Karl Rove's Crossroads GPS. ProPublica published articles in December and January that raised questions about the process political organizations use to seek tax-exempt status as "social welfare" groups. The issue did not gain major public traction until the IRS acknowledged on May 10 that it targeted tea-party groups to see if they were violating their tax-exempt status. Our pieces in December and January raised very serious questions about whether six different “dark money” political groups seeking tax exemption had made false statements on their applications. Those applications are signed under penalty of perjury. If any false statements were made knowingly, the groups— including Karl Rove’s Crossroads GPS —may have committed a crime. There is no indication, however, that either the IRS or the Department of Justice has done anything since January to investigate whether such crimes were indeed committed. The groups in question happen all to be conservative. Not one congressional Republican has, to my knowledge, expressed any concern about this possible criminality. 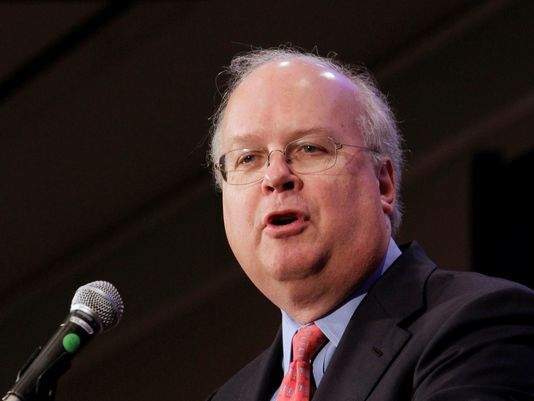 Gee, Karl Rove involved in criminal activity? Those of us who live in Alabama and have followed the political prosecution of former Democratic Governor Don Siegelman, which almost certainly was orchestrated by Rove while serving in the Bush White House, cannot imagine that. In a confidential 2010 filing, Crossroads GPS—the dark money group that spent more than $70 million from anonymous donors on the 2012 election—told the Internal Revenue Service that its efforts would focus on public education, research and shaping legislation and policy. The tax code allows groups like Crossroads to spend money on political campaigns—and to keep their donors private—as long as their primary purpose is enhancing social welfare. In other words, someone at Crossroads GPS probably lied to the IRS, under penalty of perjury, about the group's purposes. And that, Richard Tofel writes, would constitute a crime. And what of the investigators? Congressional committees leapt into action. The inspector general for the IRS had apparently already investigated. The President demanded another investigation; the Department of Justice said it had commenced a criminal inquiry. Knowing that such is the way in Washington, we waited at ProPublica for someone to send us a subpoena, show up on our doorstep, or maybe just call. Nothing. Nothing since December 13, when we told the IRS we had these documents they weren’t supposed to have sent us—or since the next day, when we published that fact. Nothing before the inspector general reached his conclusion, nothing before the congressional hearings started televising their demands for answers and their righteous indignation, nothing since. In point of fact, the investigators would have found out that we have nothing of value to them. But the fact that they didn’t even ask tells you a lot. And it reinforces the point that much of the heat generated last week on this subject is just the latest expression of Washington cynicism and its consequences—that the talk show hosts and their fellow travelers, and the representatives and senators and officials in the executive branch, aren’t really looking for answers here. They’re just putting on a show. Our reporting on justice issues in Alabama and beyond has drawn the attention of national Web sites in recent days. New York-based Above the Law (ATL), which might be the nation's most widely read legal Web site, yesterday highlighted our post on Jefferson County Circuit Judge Robert Vance Jr. and the $25-million federal lawsuit pending against him. An item on the Vance case was included in ATL's "Non Sequitirs," a daily roundup of unusual legal news. The day before, the Philadelphia-based progressive Web site OpEd News (OEN) included an interview with yours truly about President Obama's reaction to the IRS scandal. Joan Brunwasser, who I consider one of the finest interviewers in the progressive blogosphere, focused on Obama's outrage over the IRS's targeting of conservative groups compared to his apparent unconcern about Justice Department abuses, such as the political prosecution of former Alabama Governor Don Siegelman. Brunwasser's piece is titled "Obama A Big Hypocrite? Ask Legal Schnauzer, Roger Shuler." 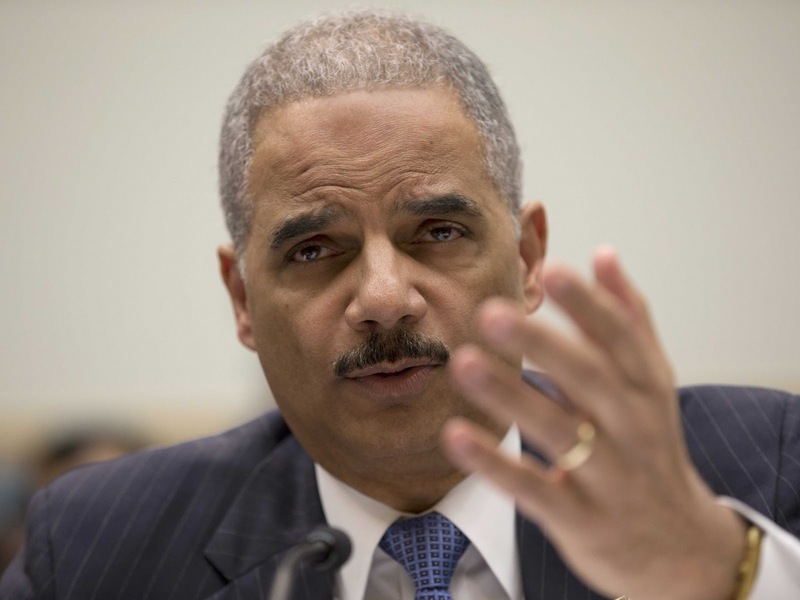 Today, Debra J. Saunders, of the San Francisco Chronicle, cites our work while examining Eric Holder's sorry performance in a piece at sfgate.com. The Saunders piece is titled "He Ain't Heavy, He's My Attorney General." Our blog has enjoyed a substantial national (even international) audience for several years, but it is particularly gratifying to have fellow journalists take note of our work--and the role that activities in Alabama play on the big legal stage. Unfortunately, for those of us who live in "The Heart of Dixie," the Alabama legal system is the only one we have. In early January 2009, just a few days before he took office, President-Elect Obama said he intended to "look forward, as opposed to looking backwards" on apparent crimes under the Bush administration. As president, Obama seems to have followed through on that pledge because his Justice Department has failed to review political prosecutions such as the one involving former Governor Don Siegelman in Alabama, where I live. Political prosecutions, of course, were just of one of many improper acts on the justice front during the Bush years--torture, warrantless wiretapping, firings of U.S. attorneys were among the others. In essence, Obama issued a decree that no one would be held accountable for those acts. Obama's "look forward" statement made no sense at the time, and it makes even less sense now, coming after he expressed outrage the other day over disclosures about the IRS targeting conservative groups for political reasons. Obama said in a news conference that he would not "tolerate" such actions, that wrongdoers must be held "accountable," and the problem must be "fixed." I don't believe progress will be made until the Obama DOJ grows a spine and initiates an investigation of the Siegelman case and other Bush-era political prosecutions. 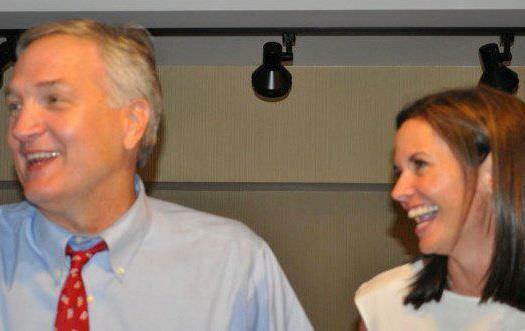 Pardoning Don Siegelman would be a positive step. But we cannot allow such manipulation of our justice apparatus to remain unaddressed. If Obama leaves office with these issues still hanging, he has been a failure, in my view. Also, this could wind up at Obama's doorstep someday. He has appointed any number of large donors to ambassadorships and such. Once he's out of office, a Republican DOJ could claim that appointments involved "inferred quid pro quos," and Obama and those donors could be at huge risk. The president ignores this issue at his own peril. More importantly, it imperils the Democrat Party. Are candidates and donors going to get involved if they know they might wind up in federal prison for engaging in standard political behavior? The Siegelman case already has had a chilling effect here in Alabama. Many statewide offices no longer attract a serious Democratic candidate. If political prosecutions are allowed to stand, look for that trend to spread to other states. Attorney General Eric Holder is President Obama’s worst appointment. Holder started out with baggage — the Clinton pardons of Marc Rich and unrepentant Puerto Rican terrorists. With the media leak investigations, he is carrying more baggage. And Holder’s load is likely to become heavier. Nonetheless, the president told reporters last week, Holder has Obama's full support. Rep. Steve Cohen, D-Tenn., questioned Holder about the pardon process as he urged the AG to consider pardoning former Alabama Gov. Don Siegelman. Roger Shuler of the Legal Schnauzer blog reports on the issue here. There’s some political risk in pushing for a pardon for a fellow politician, but Cohen has bipartisan cover. And the exchange shows the pressure that will be brought to bear on the president as he is about to leave office. Will Obama decide he wants to commute and pardon politically-connected offenders? Or will he continue to use this presidential power sparingly? Saunders explores those issues in a piece titled "Obama Is Stingy With His Pardons." It's important reading for all of us who have closely followed the Don Siegelman saga. Labels: Above the Law, Barack Obama, David Lat, Debra J. Saunders, Don Siegelman, IRS scandal, Joan Brunwasser, OpEd News, Robert Vance Jr.
An Alabama woman who was unlawfully incarcerated for five months last year has something in common with a man who co-wrote one of the most memorable songs of the rock-and-roll era. 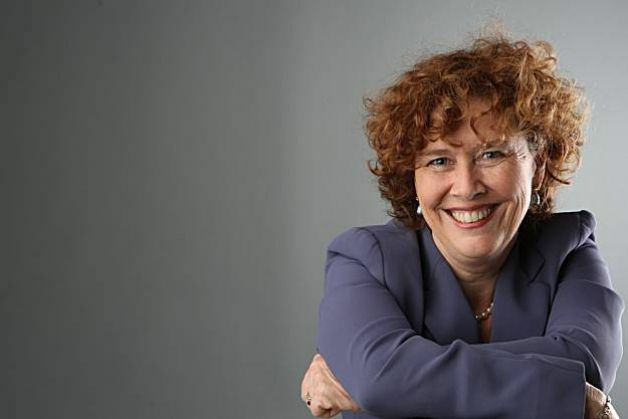 Bonnie Cahalane and Don Felder surely never set out to help illustrate a fundamental legal concept, one that often is accompanied by rancor, stress, and major doses of general unpleasantness. But their stories intersect in a way that spotlights a critical difference between a contract that is valid and one that is not. That thought struck me the other night as I was watching History of the Eagles: The Story of an American Band, a Showtime documentary about the country-rock group that came to define the Southern California Sound of the 1970s. Produced by Academy Award winner Alex Gibney, History of the Eagles likely will be one of the most-watched documentaries of 2013. Over the course of three hours, the film covers the band's 42-year history--from its formation in 1971, to a breakup in 1980, to a 14-year "vacation" that involved numerous solo projects, to a reunion in 1994, to its current status as one of the biggest concert draws on the planet. I set out to watch the film mainly because I long have admired the Eagles' music, especially the contributions of the two remaining founding members, Don Henley and Glenn Frey. Any list of the greatest songwriting teams in music history surely is topped by Lennon and McCartney. But Henley and Frey--whose partnership helped produce "Desperado," "One of These Nights," "Take It to the Limit," "Life In the Fast Lane," "New Kid in Town," "The Long Run," and many more--deserve a spot mighty high on the list. History of the Eagles captures the conflicts and tension that drove the band to staggering heights--and the film is filled with the stories behind many songs that became staples of classic-rock radio, so there is much for the music lover to enjoy. But darned if I didn't come away thinking about the law--and one of our ongoing stories here at Legal Schnauzer. How on earth did that happen? Well, it started from what I know about the legal travails of Clanton resident Bonnie Cahalane, who spent five months last year in the Chilton County Jail, known to many central Alabamians as "The Chilton Hilton." The facility's nickname might cause you to smile, but spending time behind bars there most assuredly is not fun--especially when you are there contrary to black-letter Alabama law. Chilton County Circuit Judge Sibley Reynolds held Cahalane in contempt and threw her in jail for failure to pay a property-related debt from her divorce case. Clear Alabama case law--perhaps best stated in a case styled Dolberry v. Dolberry, 920 So. 2d 573 (Ala. Civ. App., 2005) --holds that a party is not subject to contempt and incarceration because of a property-related debt from dissolution of a marriage. Cahalane was released from jail on December 18, 2012, after an agreement was reached that she would sell her house to pay off an alleged debt to Harold Wyatt for his equity in the property. Sources tell Legal Schnauzer that the agreement was reached in Reynolds' courtroom while Cahalane was wearing jail clothes. 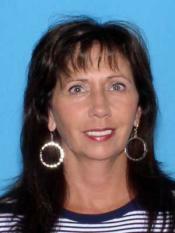 Court documents indicate she was going to return to jail that day if she did not agree to sell her house. The property currently is on the market, listed with a RealtySouth agent named Amber Darnell. We have a number of questions for Ms. Cahalane's attorney, Angie Avery Collins of Clanton, and we left a message at her office on Friday. Does Amber Darnell have a valid contract to sell Bonnie Cahalane's house? No, she does not. That's because of a legal concept--well stated in a case styled Claybrook v. Claybrook (Ala. Civ. App., 2010)--that holds a contract is void when it is reached under duress. If the threat of being unlawfully returned to "The Chilton Hilton" is not duress, I'm not sure what is. That brings us back to "Hotel California" and Don Felder. 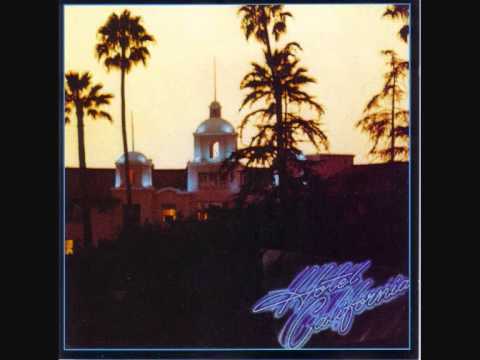 For all of the Eagles' hits, their signature song is "Hotel California," about a mythical resort where "you can check out any time you like, but you can never leave." The song won the 1977 Grammy Award for Record of the Year and ranks No. 49 on Rolling Stone's list of "The 500 Greatest Songs of All Time." The song's closing guitar solo was voted the best solo of all time by readers of Guitarist magazine. Who created "Hotel California"? Henley and Frey are credited as two of the three writers, and they wrote the lyrics and shaped the melody. 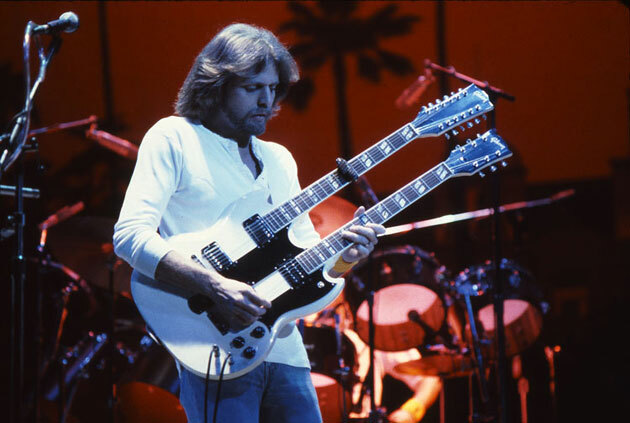 But the famous solo, the instantly recognizable guitar intro, and the entire basic music track were written by Don Felder. His name is listed first among the writers, and that is because his music track gave birth to the entire song--a tune that still will be played long after everyone currently on earth has perished. Like Bonnie Cahalane, Don Felder knows a thing or two about signing a contract under duress. That episode provides one of the key moments in History of the Eagles. The documentary surely was not designed to teach a mini seminar on contract law. But that's exactly what it does. An Alabama judge faces a federal lawsuit that alleges he took a case from another judge and issued unlawful rulings that caused substantial financial harm to a trust organized under Nevada law. 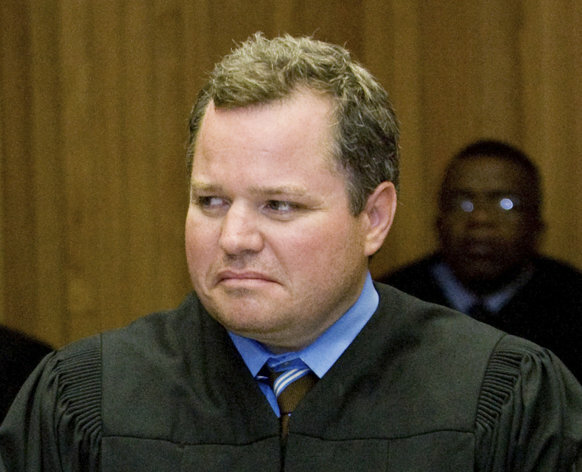 The William B. Cashion Nevada Spendthrift Trust and Alabama resident Steven Mark Hayden seek $25 million in damages from Jefferson County Circuit Judge Robert Vance Jr.
Vance, a Democrat, ran in 2012 for chief justice of the Alabama Supreme Court and lost in the general election to Republican Roy Moore. We adamantly opposed Vance's run for a seat on the state's highest court, and now we have more evidence that he is not fit to serve on any bench, much less in a leadership capacity. Vance comes from what might be called "Alabama legal royalty." His father, Robert Vance Sr., was a federal judge who was killed by a mail bomb in 1989. His wife, Joyce White Vance, is the current U.S. attorney for the Northern District of Alabama, appointed by President Barack Obama. Because of his family history, Vance Jr. enjoys a strong reputation among lawyers--but the general public should not be fooled by that. I tend to be supportive in this space of Democrats, but Robert Vance Jr. has proven that his main interest is protecting the interests of his colleagues in the legal establishment. What about the pending federal lawsuit against Vance Jr. The doctrine of judicial immunity generally protects judges from lawsuits for actions taken on the bench. But Burdick's complaint alleges that Vance usurped the authority of another judge, took a case that was not assigned to him, and repeatedly acted outside his judicial capacity to issue orders that benefited MCG's client. Burdick filed a Motion for Recusal in an underlying state case on January 9, 2013, but Vance refused to step down. Burdick then filed a Petition for a Writ of Mandamus, asking the Alabama Supreme Court to force Vance to step aside. The petition was denied without briefing, meaning the state's high court did not even address the merits of the claims against Vance. A federal lawsuit, styled William B. Cashion Nevada Spendthrift Trust and Steven Mark Hayden v. Robert S. Vance Jr., 2:13-CV-0286-SLB, was filed on February 11. The Alabama Attorney General's Office filed a Motion to Dismiss on Vance's behalf, and Burdick filed a response on April 10. U.S. District Judge Sharon Lovelace Blackburn initially scheduled a hearing on the Motion to Dismiss, but when one of the parties asked for a continuance due to a scheduling conflict, Blackburn announced that she would rule on the motion based on the pleadings, without oral argument. It is not known when Blackburn will issue a ruling, but Vance has a hearing set in the underlying state case for Friday, May 31. At the heart of the controversy is William B. Cashion, an 84-year-old businessman who is co-founder of Bessemer-based Western Steel Inc. (WSI) and a shareholder in several other Alabama corporate entities. In 2007, while in the midst of a divorce, Cashion executed a durable power of attorney, designating his nephew, Dr. Steven Mark Hayden, as his agent and attorney-in-fact. Cashion remarried in 2008, and his new wife, Frankie B. Cashion, states in court documents that her husband became obsessed with investments in Alabama gold mines that supposedly were to generate large sums of revenue. Mrs. Cashion states in an affidavit that her husband invested almost $7 million in the gold-mining project before she was able to stop him. "He is at risk of selling interest in his fraudulent gold mine to other investors which would be based on fraudulent assays. . . . , " Mrs. Cashion states. "His family, friends, and business are being harmed by his poor judgment." In 2011, Dr. Steven Hayden used his authority as power of attorney to form the William B. Cashion Nevada Spendthrift Trust (WBC Trust), and all of Cashion's stock in WSI was transferred to the Trust. Angela Rae Hayden, Steven Hayden's wife, serves as trustee of the WBC Trust, and the Haydens live in Wetumpka, Alabama, where he practices family and emergency medicine. Court documents show that Steven Hayden is the current president of Western Steel, Inc., replacing Gene Calhoun, who retired in 2012. William B. Cashion filed a lawsuit in Clark County, Nevada, claiming the WBC Trust is not valid, and that case was dismissed with prejudice in April 2012. Cashion filed a state action in Alabama, seeking relief similar to that in the Nevada case. Cashion's primary lawyers in Alabama are James P. Naftel II, Jim Goyer, and John D. Bethany Jr., of MCG. The Alabama case, styled William B. Cashion and Western Steel Inc. v. Steven Mark Hayden, et al, CV-2012-209, was assigned to Jefferson County Circuit Judge Houston Brown. But according to Burdick's federal complaint, Vance unlawfully seized the case and issued four rulings that all were favorable to MCG and its primary client, William B. Cashion. MCG's first curious move was filing the case in the Birmingham Division of Jefferson County. Burdick claims the proper venue is Elmore County because none of the parties resides in or maintains a principal place of business in the Birmingham Division of Jefferson County. After filing the state case on February 8, 2012, MCG lawyers filed a motion to transfer the case to the Commercial Litigation Docket, which was created by Jefferson County Circuit Court (Birmingham Division) Administrative Order No. 2009-23. Vance has come to handle most of the cases on the Commercial Litigation Docket. Court records show the case was assigned to Judge Brown at 2:02 p.m. on February 8, but at 3:30 p.m. on that date, Judge Vance issued a temporary restraining order (TRO) sought by MCG lawyers, on behalf of Cashion and Western Steel. At the time that Vance signed the TRO he did so with knowledge that he did not preside over the case. The electronic case action summary reflects that Judge Vance had available on his computer the notice and assignment of the case to Judge Houston Brown. However at that time Judge Brown was not relieved of authority to preside over the case, and Vance was not granted authority or jurisdiction over the case. At that time, the case was not before Judge Vance. Judge Brown in his order made no claim that he had authority to transfer the case to Judge Vance. In fact, Judge Brown at that time did not have authority to transfer or reassign the case as he was not the presiding judge in the circuit. Judge Vance also had no authority to transfer the case to his own docket. It is clear that Cashion and his attorneys wanted Judge Vance to preside over their case. Cashion first filed the case in a venue where none of the parties to the action resides or maintains a principal place of business. Cashion filed a motion with his complaint requesting that the matter be transferred to the Commercial Litigation Docket. All cases approved for the Commercial Litigation Docket are assigned to Judge Vance unless he declines them on the basis of docket volume. . . . Cashion went to an improper venue specifically to select Judge Vance. Judge Vance not only accommodated this forum shopping, he ventured to rule on the case before the forum shoppers even made it to the checkout aisle. Because these orders were rendered in a matter not assigned to Judge Vance, they represent non-judicial acts under the color of law. Vance's acts . . . violate both the substantive and procedural due process rights of the Trust and Hayden. Said extra-judicial orders were prejudicial to the Trust in that they prevented the Trust from performing its duties to nurture the trust principal. The Trust suffered the loss of considerable investment returns and interest. The Trust also was deprived of assets valued at more than $20,000,000.00. The Trust and Hayden also continue to suffer considerable costs and attorneys fees in an effort to overcome Vance's usurpation of judicial authority. Why did MCG want the case before Robert Vance Jr.? That brings us to sticky campaign-finance issues--and we will address those in upcoming posts. Was AG Eric Holder Mistaken, Misleading, Or Evasive In His Answers To Congress About Siegelman Case? U.S. Attorney General Eric Holder yesterday said it's his understanding that former Alabama Governor Don Siegelman has an active appeal and therefore is not eligible to have his sentence commuted. 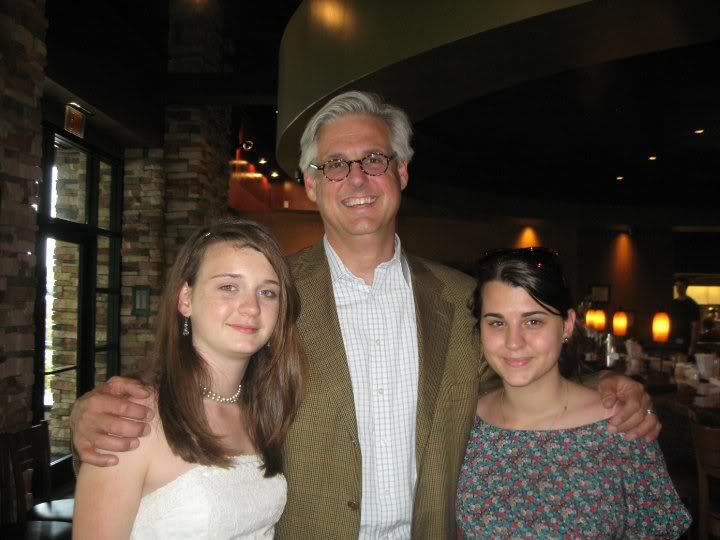 As a journalist based in Birmingham, I have followed the Siegelman case closely since this blog began in June 2007--and I am not aware of any active appeal on Siegelman's behalf. Former HealthSouth CEO Richard Scrushy, who was codefendant in the case, has an appeal pending before the Eleventh Circuit in Atlanta, but that was not filed by Siegelman's lawyers. If Siegelman has an active appeal, it has escaped my attention. And that raises this question: Is Eric Holder mistaken or did he intentionally make a misleading statement to Congress and the American people? I have sent queries to Siegelman's legal team, seeking clarification about any appeals, plus their response to Holder's statements. We will update this post as new information becomes available. Holder's remarks came in response to questions from U.S. Rep. Steve Cohen (D-TN) in a House Judiciary Committee hearing. A video of the exchange can be viewed at the end of this post. 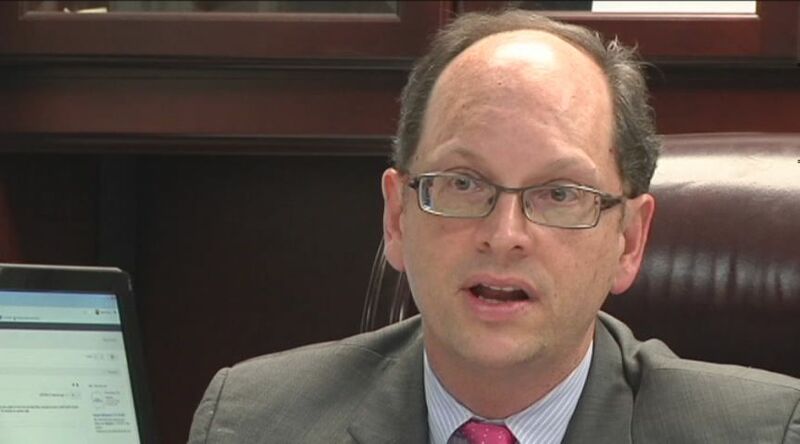 At Wednesday’s House Judiciary Committee hearing, Rep. Steve Cohen, D-Tenn., asked Attorney General Eric Holder if he would push for a presidential pardon for former Alabama Gov. Don Siegelman. “The president could pardon him now,” said Cohen as he pressed Holder. Is your Pardon Attorney Ron Rodgers under investigation for withholding information? Cohen asked, referring to an Inspector General probe. The individual’s name — and Holder should know it – is Clarence Aaron, who outrageously was sentenced to life without parole for a first-time nonviolent drug offense. And Holder should be outraged that Pardon Attorney Ronald Rodgers withheld vital information on Aaron’s case. The only corrective measure that can prevent a repeat would be to remove Rodgers from a position for which he temperamentally is unsuited. By the way, none of the 16 Puerto Rican national terrorists pardoned by President Clinton — with an assist from Holder — had applied for pardons. But that didn’t stop Holder at the time. But then this Attorney General never has been overly preoccupied with any notions of justice. Numerous legal experts have said this was a grave injustice . . . Can you assure me that you will review his case because in my opinion . . . an innocent man is in jail, being deprived of liberty? Nothing is more important than liberty; taking your liberty is probably the harshest thing the government can do to a person. We have taken this gentleman's liberty, and I believe we need to look at that case."